This Radical Obstacle Course is the perfect combination of obstacles with a slide! 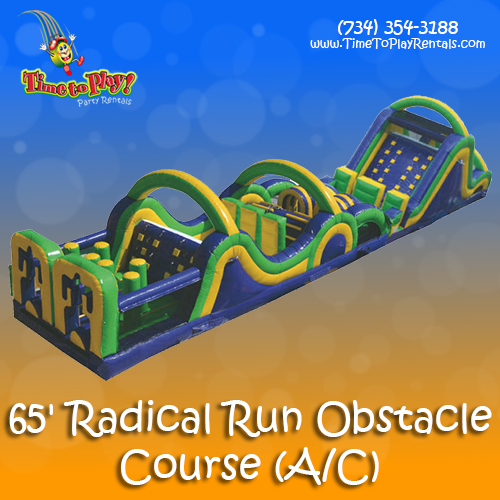 Jam packed with several amazing obstacles, our 65’ Radical Run Course is a sure-fire win! Race over, around and through the barriers, climb the 16’ slide and descend to the finish line! This obstacle course is challenging for people of all ages and is a great choice for large social events! Combine this course/slide with other interactives and rides for a full-scale carnival!